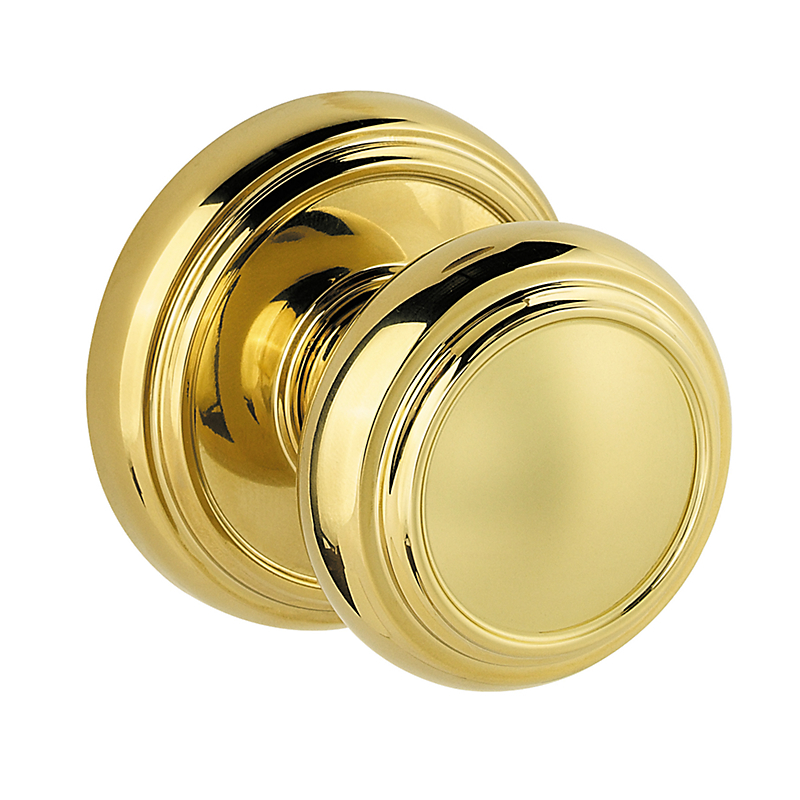 Baldwin Prestige Series Alcott knobs offer the quality that you would expect from Baldwin, nice and solid construction and an affordable price. 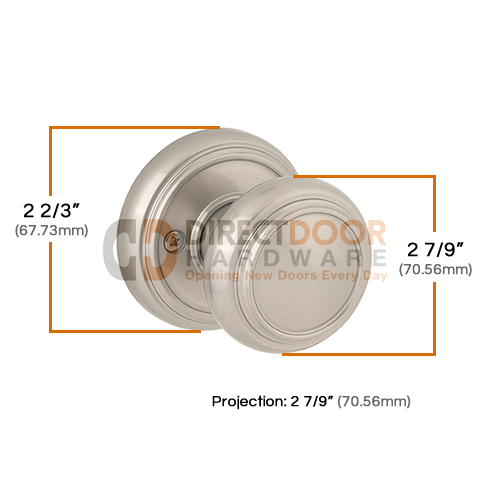 The Alcott door knob is classic in its design with a circular pattern with a raised ridge around the perimeter of the knob and rosette or backplate. 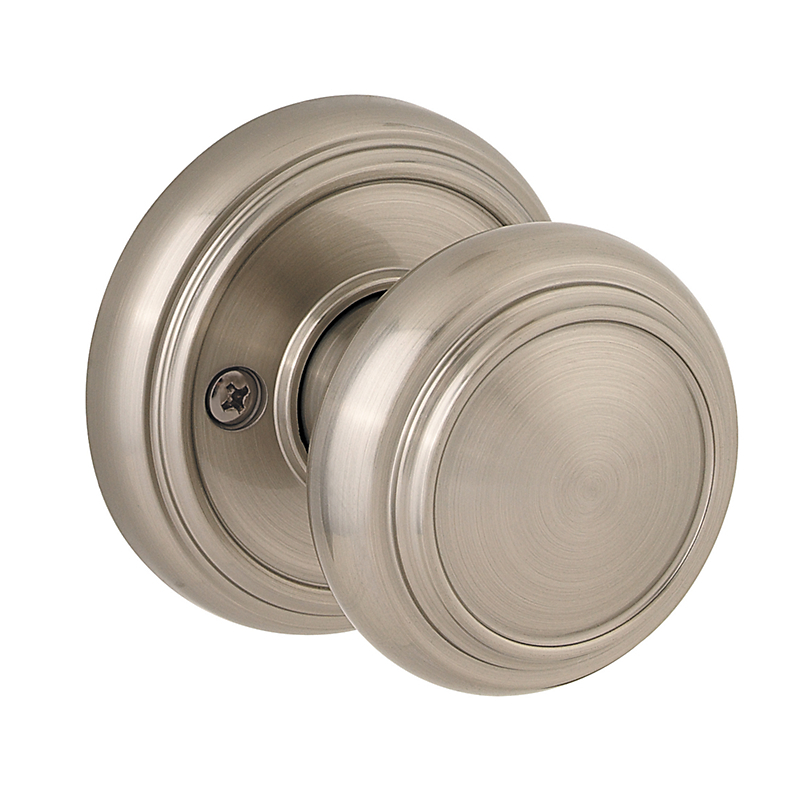 This simple timeless door knob style is available in satin nickel and polished brass to coordinate with your homes\ decor. Baldwin Prestige series door hardware is easy to install with a standardized adjustable latch and fits the standard door thickness you find in most homes. 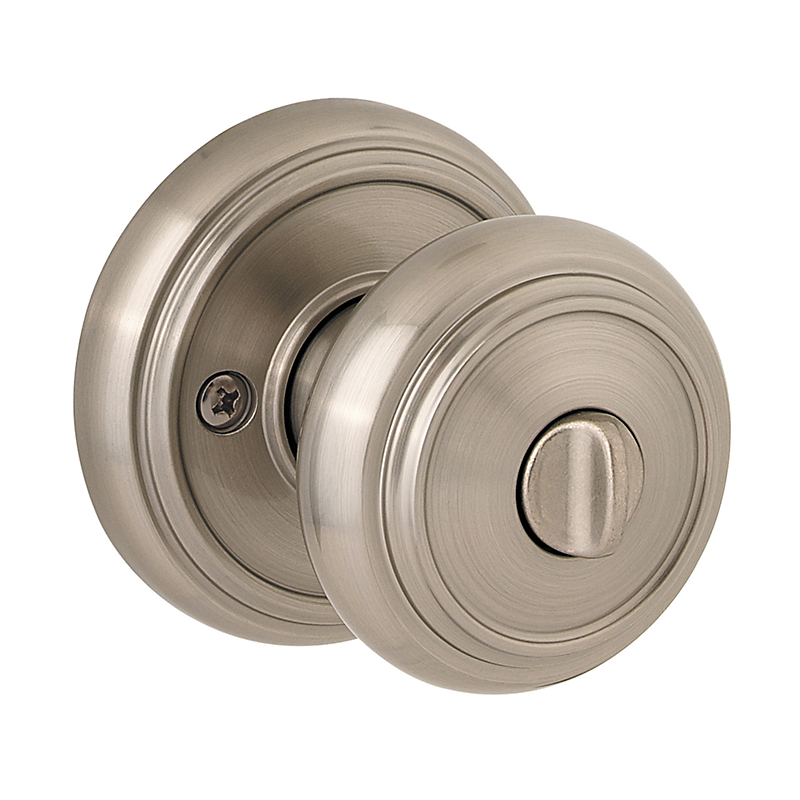 You can also order coordinating Baldwin Prestige handlesets, deadbolts and lever handles so that the door hardware in your entire home coordinates and is keyed alike. 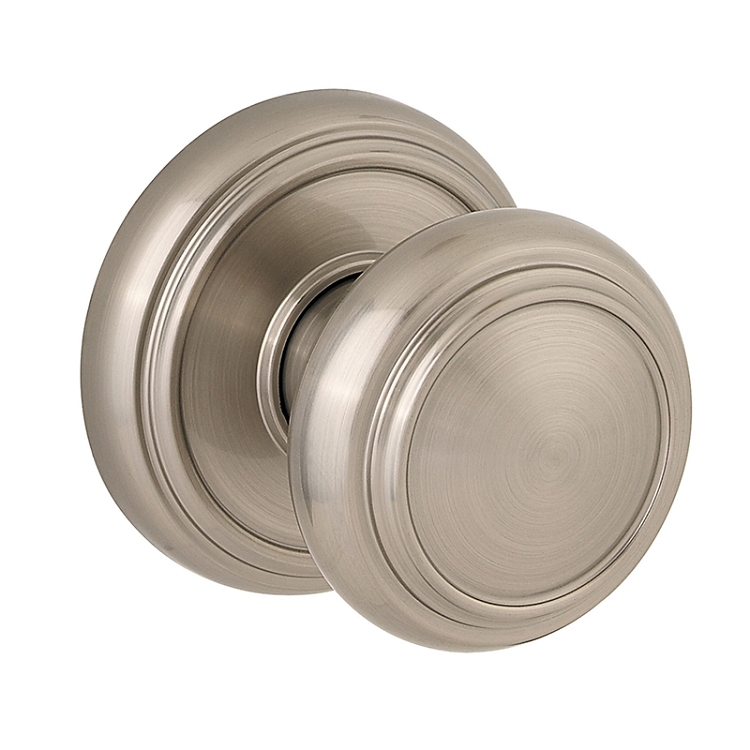 The Baldwin Alcott door knobs uses a turn button lock on its privacy and keyed entry functions. 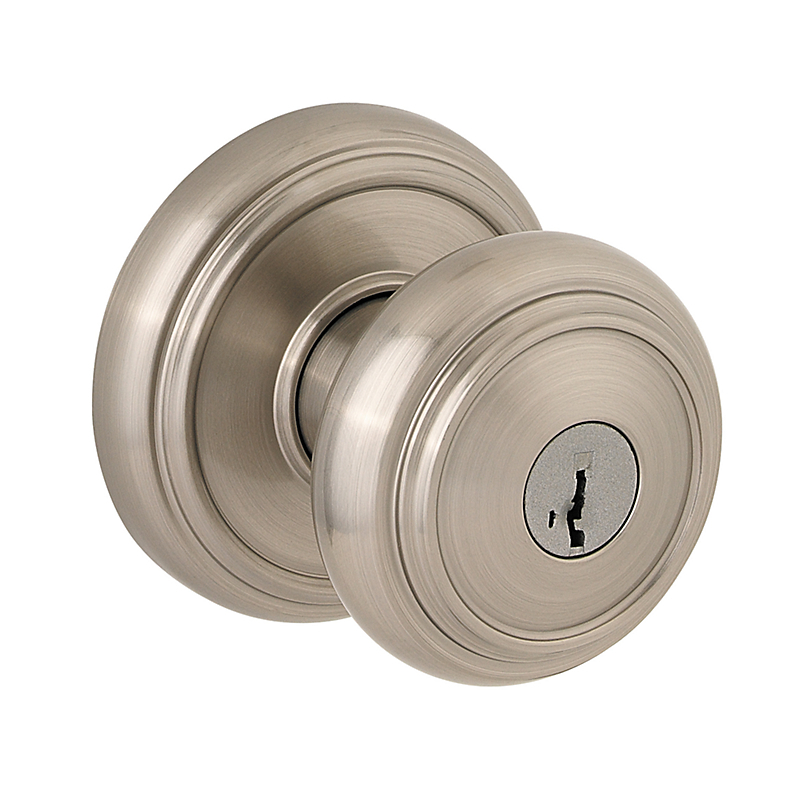 To lock or unlock, simply turn the button located in the center of the knob. When you exit the room, you must turn the button to the unlocked position. 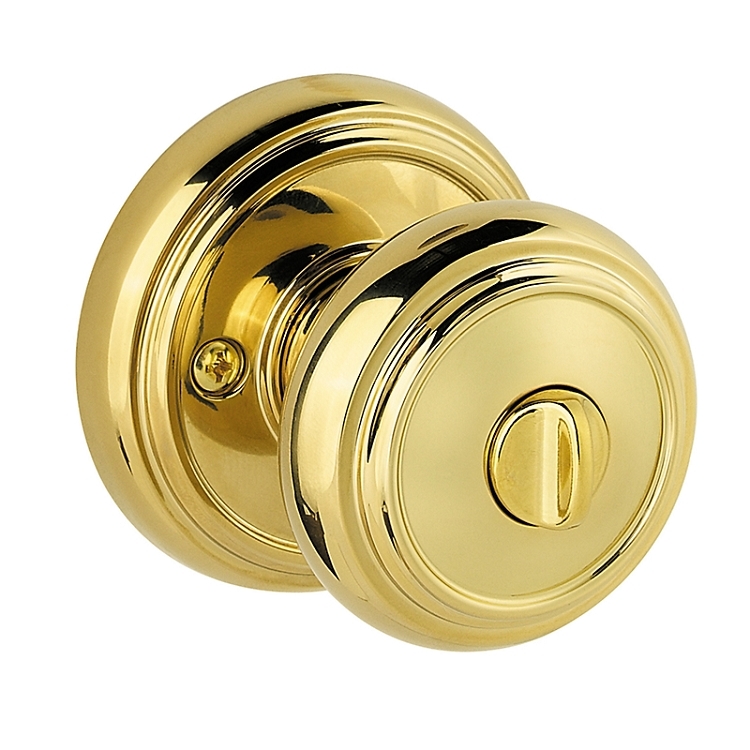 Nice solid doorknobs at very good prices. They feel good in the hand, function well, and are really easy to install. 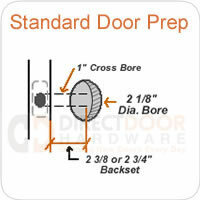 We got a few passage and dummy sets for closet doors throughout the home. Hi, Does the knobs come with the rose? Does the outside knob remain locked when the inside knob is turned?